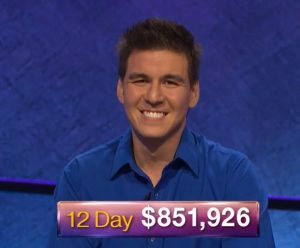 Today’s Final Jeopardy answer (in the category The NFL) and statistics for the Tuesday, December 4, 2018 game between Tiffany Brooks, Alexander Schwab, and 1-day champion Dave Leffler. Michigan’s Elizabeth Goss returns as champion this first week of November. See who joins her here!